The Hotel Riu Palace Tikida Agadir is the ideal place to take an authentic vacation in Morocco. At this all-inclusive hotel located on the beachfront in Agadir, you will enjoy RIU Hotels & Resorts' best services and a wide array of facilities designed to offer you maximum comfort during your stay. In the rooms of the Hotel Riu Palace Tikida Agadir you will find the best amenities, making your vacation unforgettable. The hotel's more than 400 rooms boast free Internet, satellite TV, air conditioning and heating, a minibar, a safe and a balcony or terrace. 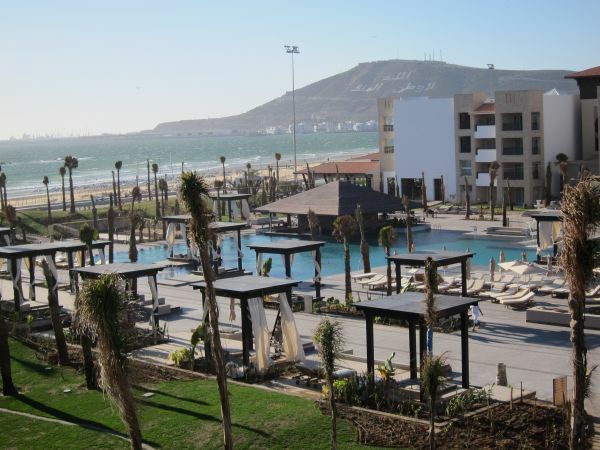 In addition, if you stay in the Suite or Junior Suite you will have incredible views of the ocean and Agadir Beach. 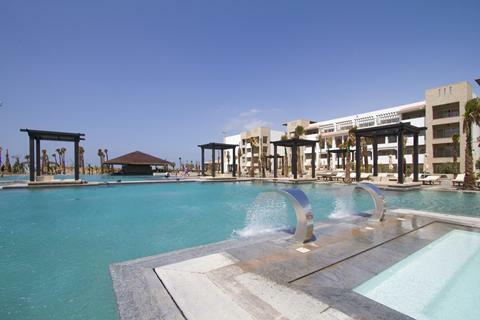 Our all-inclusive hotel in Agadir has spacious facilities where you can enjoy a wide variety of services. At the Hotel Riu Palace Tikida Agadir there is an outdoor pool with a hydromassage area, a heated indoor pool, a kids pool and the Tikida Spa, a wellness center with a sauna, a hammam, a beauty salon and massage rooms. You can also enjoy the exclusive area on Agadir Beach for guests of the hotel and relax on the beach chairs under the Moroccan sun. 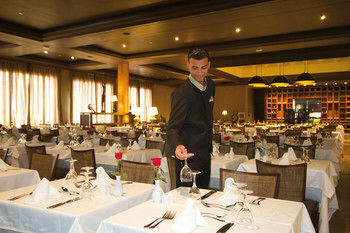 At the Hotel Riu Palace Tikida Agadir's restaurants you can savor the best Moroccan, Italian and fusion cuisine. In the mornings you can enjoy an authentic continental breakfast with show cooking stations to give you the energy you need for your vacation. And if you want to try the best beverages and appetizers at any hour of the day, we recommend you visit the 4 bars located throughout this hotel in Morocco.